Andrew Davis brings a wealth of experience and success from a career that spans over two decades. Competing in multiple categories and platforms, he has enjoyed numerous victories and podium appearances in the Grand-Am Rolex Series, IMSA WeatherTech Championship, Continental Tire SportsCar Challenge, and the Pirelli World Challenge. Additionally, Davis is a multi-time champion capturing championship titles in the 2011 Grand-Am Rolex GT Series and the 2015 Continental Tire SportsCar Challenge. With more than 200 professional starts, Andrew has solidified his position among the most talented drivers in endurance racing. 2011 proved to be a banner year for Andrew, as he was selected to drive the famous #59 Brumos Racing Porsche in the Rolex Sports Car Series. At season’s end, he was crowned the 2011 Rolex GT Champion after capturing two victories and multiple podium finishes. In addition, Andrew was elected a member of the AARWBA All-America Team and selected as one of SPEED TV’s Top 10 GRAND-AM drivers for 2011. Andrew started the 2012 season strong with a pole position at the 50th running of the 24 Hours at Daytona, and finished out the year with four visits to the podium. He was also honored with membership into the Road Racing Drivers Club for 2012. Andrew continued his winning ways in 2014 with a return to Stevenson Motorsports to help develop the new Z/28R Camaro in the Continental Tire Sports Car Challenge Series. He led the series with three victories, and also captured two pole positions while narrowing missing another championship. In addition to the above mentioned success, Andrew also drove the Dempsey Racing Porsche in the TUDOR United Sports Car Series sharing the car with Hollywood actor Patrick Dempsey. Andrew was once again behind the wheel of a Porsche 911 race car in 2015, as he was signed on by Alex Job Racing to compete in the four long endurance races in the Tudor United SportsCar Championship. A career best finish in the Rolex 24 at Daytona started off his successful 2015 campaign. In addition, Andrew found himself once again crowned series champion with a dominating effort in the 2015 Continental Tire Sports Car Challenge driving his Stevenson Motorsports Camaro Z/28R. 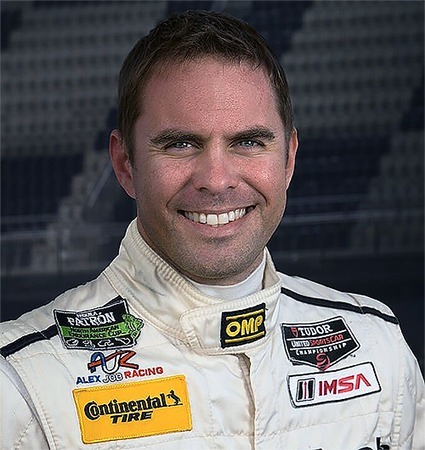 In 2016, the Stevenson Motorsports program stepped back up to the WeatherTech Sportscar Championship awarding Andrew the opportunity to pilot the all new Audi R8 LMS. The two year campaign proved successful once again with another trip to victory lane, multiple podium finishes, and a top five position in the final championship standings. Andrew is currently driving for Magnus Racing in another Audi R8 LMS in the IMSA Series. 2012: Grand-Am Rolex Series – Brumos Racing: 50th Anniversary Rolex 24 – Pole Position, 3rd Place finish. KONI Challenge Series – Motorsport Technology Group: ran in the GS category In a Porsche 997. 2006: Grand-Am Rolex Series – Tafel Racing: Best finish of 2nd (Miller Motorsports Park), one pole position (BarberMotorsports Park), multiple front row starts, numerous laps led, multiple top five finishes, 6th in Driver Championship.